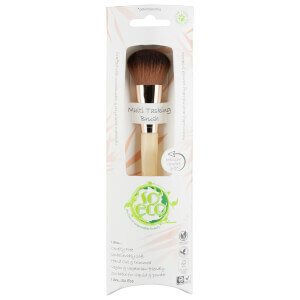 Achieve professional eye makeup looks with the So Eco Eye Duo Brush Set; two dual-ended brushes with a metallic rose gold plating and a quality bamboo handle. 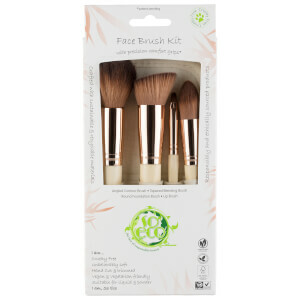 Crafted with sustainable and recyclable materials, the brushes have been hand cut and trimmed, printed using vegetable inks and held together with water-based adhesives. One tool features a rounded head for effortless blending and an angled, fluffy tip to create a soft focus effect. The second brush showcases a large, flat end for shading and a small, angled head for lining and defining. Suitable for liquid and powder products.